But if we want innovators to take big risks and challenge existing incumbents and their market power, then it is essential that we get policy incentives right or else this sort of creative destruction will never come about. The problem with too much of today’s “techlash” thinking is that it imagines the current players are here to stay and that their market power is unassailable. Again, that is static “snapshot” thinking that ignores the reality that new generations of entrepreneurs are in a sort of race for a prize and will make big bets on the future in the face of seemingly astronomical odds against their success. But we have to give them a chance to win that “prize” if we want to see that dynamic, disruptive change happen. 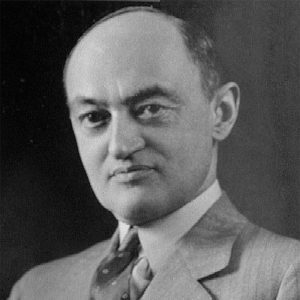 As always, we have much to learn from Schumpeter. Jump over to the AIER website to read the entire essay. Over the years I have been asked to speak to colleagues and students I work with about best practices for preparing testimony, public interest comments, opeds, speeches, etc. A few years back, I jotted down some miscellaneous thoughts and used these notes whenever speaking on such matters. I did another session with some GMU econ students today and someone suggested I should publish these tips online somewhere. So, for whatever it’s worth, here are a few ideas about how to improve your content and your own brand as a public policy analyst. The first list is just some general tips I’ve learned from others after 25 years in the world of public policy. Following that, I have also included a separate set of notes I use for presentations focused specifically on how to prepare effective editorials and legislative testimony. There are many common recommendations on both lists, but I thought I would just post them both here together. Technological innovation is a fundamental driver of economic growth and human progress. Yet some critics want to deny the vast benefits that innovation has bestowed and continues to bestow on mankind. To inform policy discussions and address the technology critics’ concerns, this paper summarizes relevant literature documenting the impact of technological innovation on economic growth and, more broadly, on living standards and human well-being. The historical record is unambiguous regarding how ongoing innovation has improved the way we live; however, the short-term disruptive aspects of technological change are real and deserve attention as well. The paper concludes with an extended discussion about the relevance of these findings for shaping cultural attitudes toward technology and the role that public policy can play in fostering innovation, growth, and ongoing improvements in the quality of life of citizens. Every week, it seems, there is a news story about another air taxi startup or test flight. Another signal of the industry’s development is that at a House Transportation and Infrastructure hearing last week, Eric Fanning, the President and CEO of the Aerospace Industries Association, devoted most of his testimony to urging lawmaker action on air taxi (also called vertical takeoff and landing aircraft and, colloquially, flying cars) policy and infrastructure. The technology is exciting but federal officials are interested in whether the air taxi industry will be a drain on taxpayers. Using government estimates of the air taxi industry and current tax rates for infrastructure-based industries like wireless and oil extraction, I estimate that the air taxi industry could deposit tens of billions of dollars into the US Treasury annually. Hopefully the hundreds of air taxi “vertiports” required are privately funded as well. In November, I published a Wall Street Journal piece about the rapid development and promise of the air taxi industry. Some people inquired as to the potential size of the air taxi market and government revenue. I wasn’t aware of any estimates at the time. Nevertheless, I estimated that the US market could one day reach $200 billion in revenue annually–about the size of the current US aviation market and the US wireless broadband market. Other analyst and government estimates are now coming out, turns out, my estimates were on the conservative side. For instance, a NASA-funded study (.pdf) estimated that, at the upper limit, the US market could approach $500 billion annually, which is nearly the size of the US auto market. That would require tens of thousands of air taxis serving over 10 million passengers per day. Experts at McKinsey, NASA, and JP Morgan Chase estimate that the global air taxi market could be anywhere from $615 billion to $3 trillion annually by 2040. Given the potential for this industry, other countries are moving quickly to commercialize air taxis. A German consultancy, Roland Berger, predicts there will be 3,000 commercial air taxis by 2025. The drone expert at the World Economic Forum believes Chinese companies are far ahead when it comes to autonomous air taxi service. That said, the operator of the Frankfurt airport announced a partnership with an eVTOL company recently, and the powerful Japanese trade and industry ministry has convened a 25-member private-public council to develop air taxis. Japanese regulators intend to make Japan the birthplace of urban air taxi service. Private or Public Funding of Vertiports? A key decision for US lawmakers is whether the hundreds of vertiports in the US will be privately funded and operated or will, like today’s airports, receive subsidies and public operation. A NASA study estimates that each major US city could support on average about 200 “vertiports.” That would be a major drain on taxpayers if publicly funded. My working paper on the subject of air taxi traffic management contemplates entirely private funding of urban vertiports and infrastructure. It also proposes that the government auction aerial corridors to air taxi operators. Private infrastructure and the auction of exclusive aerial corridors, in my view, is the safest and most fiscally responsible way to develop the American air taxi market. However, the FAA and NASA’s plans are unclear on whether air taxi infrastructure will be funded by taxpayers or funded privately. There’s a good chance the FAA and NASA will import the norms and regulations for traditional aviation–open access airspace and public funding of shared airports–into the urban air mobility market. I think that would create an anticompetitive market and be an unnecessary drain on taxpayers. How much government revenue could be generated by the air taxi industry? We can look to other assets that are auctioned by government for analogues: spectrum and offshore oil sites. There is no “spectrum tax,” but wireless taxes and fees resemble a de facto tax on cellular spectrum. The Tax Foundation puts government (federal, state, and local) wireless taxes and fees at around 9% of annual wireless revenues. For oil leases on federal property, there is a government royalty amounting to about 12.5% of oil revenue. With these figures in mind, let’s assume that government taxes and fees will one day amount to about 10% of air taxi revenues. Supposing that the US air taxi market will one day fall between my conservative estimate, $200 billion annually, and NASA’s best-case estimate, $500 billion annually, the air taxi industry could one day generate about $20 billion to $50 billion in tax revenue annually. That doesn’t include the auction revenues of aerial corridors, if implemented. If spectrum auctions and offshore oil leases are the best comparison, the auction of aerial corridors could return another $100 billion to the US Treasury. These are tentative estimates. Market size estimates vary widely, and much depends on whether a workable regulatory framework develops. In any case, like aviation 100 years ago, it’s an exciting area to watch.